We are happy to take commissions for bespoke joinery projects. Please contact us for prices. We can machine heavy timber into hexagonal or octagonal columns and we can also turn heavy posts for use as structural posts in timber framed projects or as decorative columns. Below is a pair of turned softwood posts shown on the lathe and in place after painting. Thank you to our favourite children's author for the photo! This green oak pillar has been fine sanded and waxed and would be a striking centre column for a spiral staircase or grand structural pillars. The timber is shown being sawmilled as an octagonal post . 1. 'The Regency'. 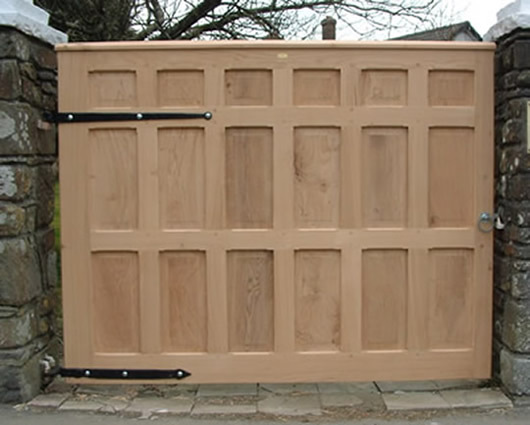 This style of gate, which we only make in seasoned air dried oak, is made using loose panels set within a frame. The same technique is used to make traditional English wall panelling. 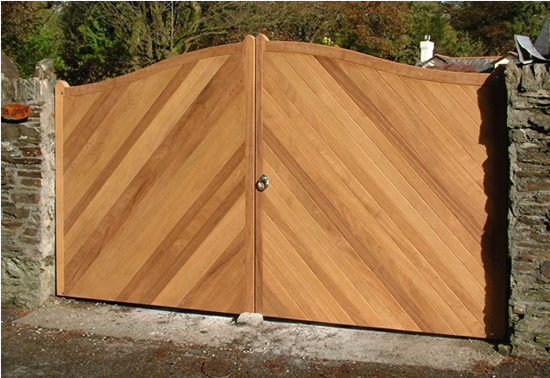 The maximum size for this style of gate is 6ft wide x 6ft 6in high. 2. 'The Yelverton'. 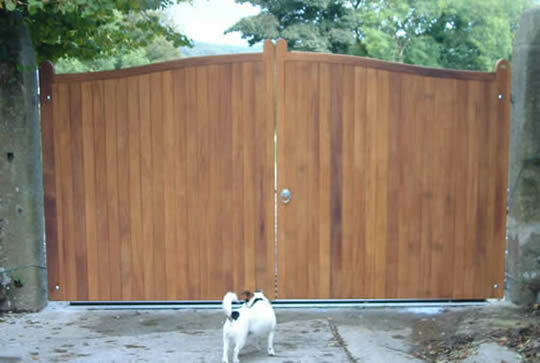 This style of gate is available in seasoned air dried Oak or Iroko. 4. 'The Bideford'. 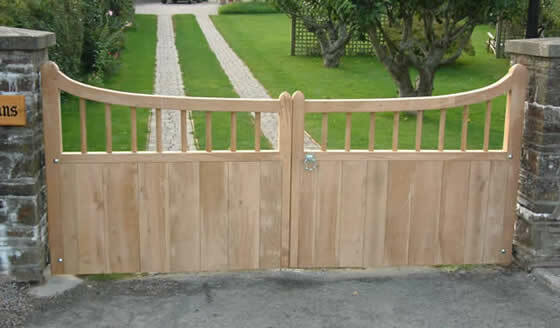 This style of gate can also be made from seasoned Oak or Iroko. 1. The Regency: Only available in Oak. Hand made double sided panelled gate. This technique is also used to make traditional English wall panelling. A single gate made in seasoned air dried, joinery quality oak, 6ft wide x 5ft 5in high would cost £3050 + VAT. Sepele hardwood £2120 + VAT. These are guide prices only. Please contact us for a quote based on the gate size required. 3. 'The Kingsbridge'. This is available made to measure in seasoned air dried Oak or Iroko. The top profile can be made flat as in the Kingsbridge 'A', or with convex or concave curve or with a sweeping top profile as shown in the Kingsbridge 'B'. 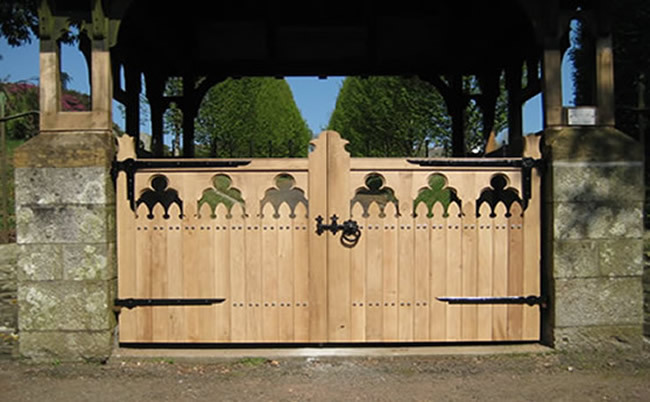 Below is an example of a bespoke gate made to individual specification. This gate was made to replace a decayed church gate at St Andrews Church, Buckland Monachorum, and was made to replicate the original design. 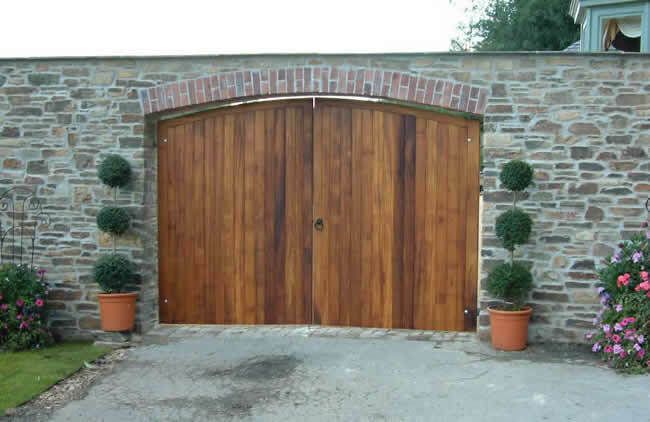 Below: Seasoned Oak gates made to special order. We call them our 'Grenofen Gates'. A variety of exhibition stands and art and sculpture display plinths. The sculpture plinth shown above measures 300 x 300 x 600. It is made in solid 'green' (unseasoned) English Oak and this particular plinth has been fine sanded and waxed. There are a myriad of uses for these beautiful tactile blocks including tables, chairs, display stands or sculpture plinths. Green Oak is unseasoned and will show some splitting and checking as it dries. Seasoned Oak is a more expensive but more stable alternative if required. 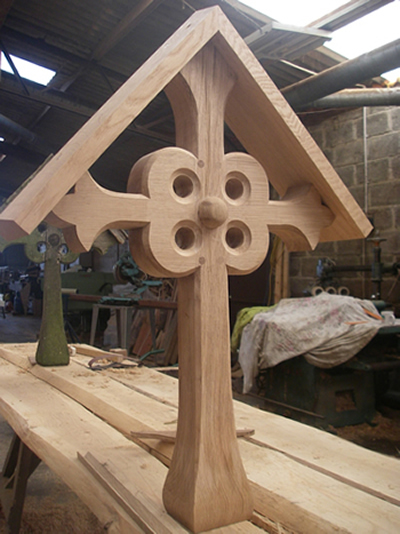 Andy made this replica cross from seasoned air dried oak as part of a restoration / conservation project for a local church. This is a bespoke hand made heavy oak rustic farmhouse / refectory table base commissioned to support a very heavy solid slate table top. 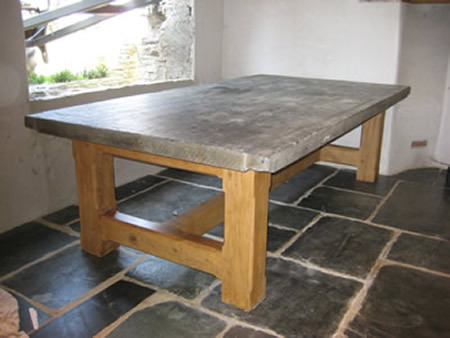 Tudor-style seasoned oak bench with hand-turned tapered legs made for The National Trust at Cotehele House, Cornwall. This was hand-made with an adze to reflect the simplistic design which would have been used for the kitchen garden. Below is a sign post / way marker made from durable dry seasoned English Oak. 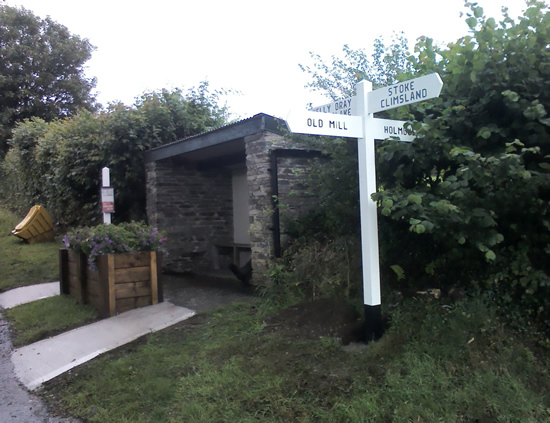 Oak signposts are ideal for heritage trails. The lettering is engraved. The signposts can be left untreated and will grey in time, or we can factory spray them with a woodstain or paint. This post was factory sprayed with white paint and the 3D lettering was infilled with black paint. please contact us for prices. 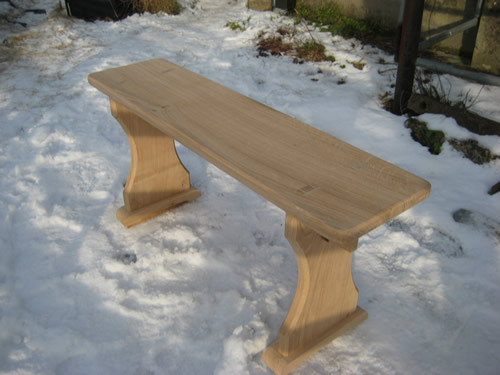 to order from locally grown timber: green oak, douglas fir, chestnut or larch. 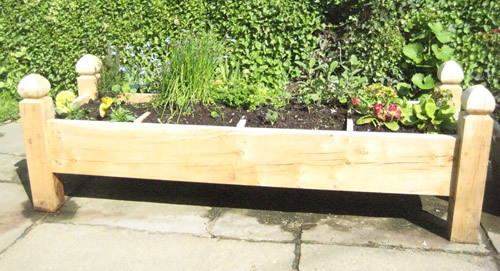 A solid green oak decorative raised bed herb or vegetable planter. We think that this design, with the optional partitions removed, would also make a luxury solid wood raised dog bed!